The industry that kills whales for meat is in bed with the industry that kills foxes and minks for fur in Norway, a new investigation shows - and it's turning the stomachs of people who care about animals all over the world. In 2014, 124 tons of whale meat (from about 75 minke whales) were delivered to the largest manufacturer of animal feed for the Norwegian fur industry, according to the Animal Welfare Institute (AWI) and the Environmental Investigation Agency (EIA). 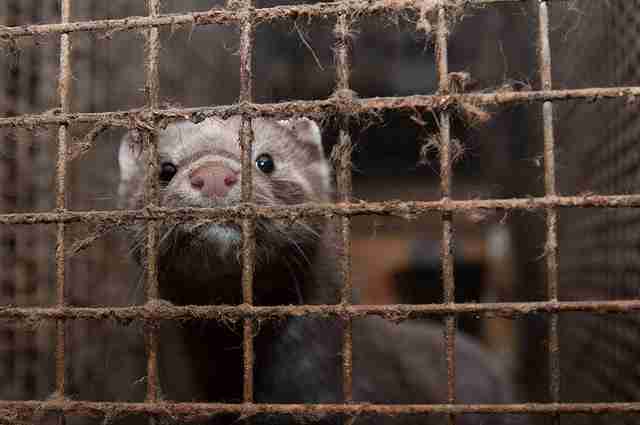 Norway kills thousands of minks and foxes for their fur each year. Despite a 1982 international moratorium on whale hunting, Norway continues to kill hundreds of whales each year because it objects to the moratorium. Since 2012, Norway has killed more whales per year than any other whale-hunting nation - and for the past two years, the country has killed more whales than Iceland and Japan combined. "Whaling is inherently cruel and has no place in a civilized society," said Susan Millward, executive director of AWI, in a statement. "Killing these sentient and magnificent animals to feed suffering animals on fur farms underscores why the world opposes whaling, and clearly demonstrates that Norwegians have no legitimate need for whale meat." Jennifer Lonsdale, director of EIA, added that whaling in Norway not only defies the international ban, but "continues despite a drastic decline in demand for whale products in Norway." Lonsdale called the use of whales to feed "the equally cruel and controversial" fur industry "unacceptable." Still, up to 880 minke whales are expected to be killed this whaling season in Norwegian waters. Click here to learn how you can take action for animals.